iBUYPOWER announced their new line of Gaming RDY “Rush Delivery to You” systems, professional-level gaming PCs with a delivery speed to rival the fastest in the business. Purchasing an iBUYPOWER Gaming RDY system guarantees same day shipping* to help customers get back into the games they love without delay. No additional fees. No hidden charges. I can get behind the idea of fast shipping gaming PCs for sure. I often have friends and family who just want to buy a whole PC and not spec one out and the biggest complaint I hear from them is lead time. 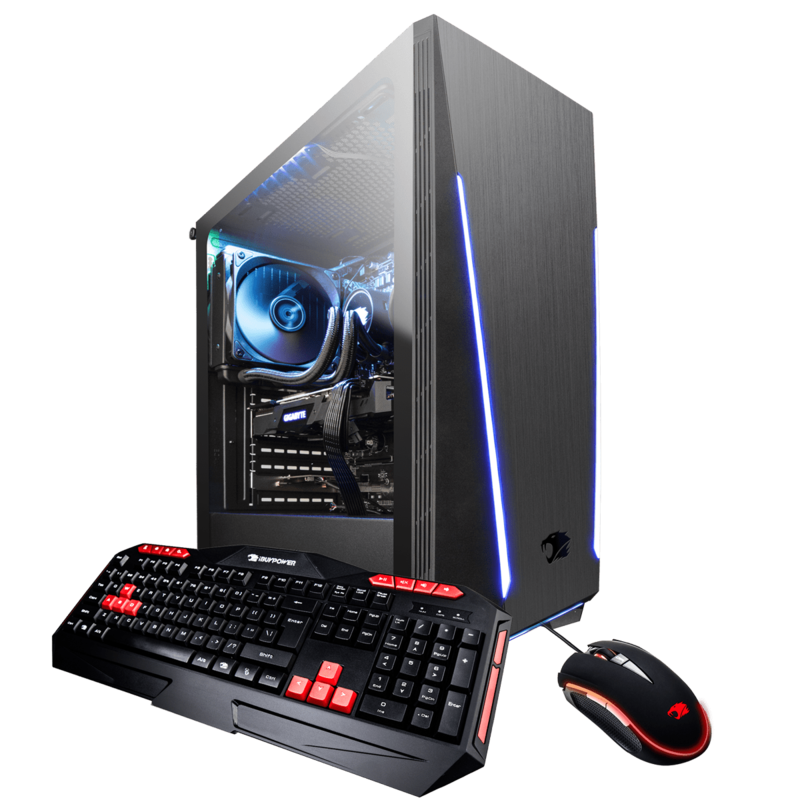 Most custom gaming PCs, even from an established system integrator carry a bit of a wait time while something like the run of the mill X-Brand office PC is shipped out within minutes due to set configurations. 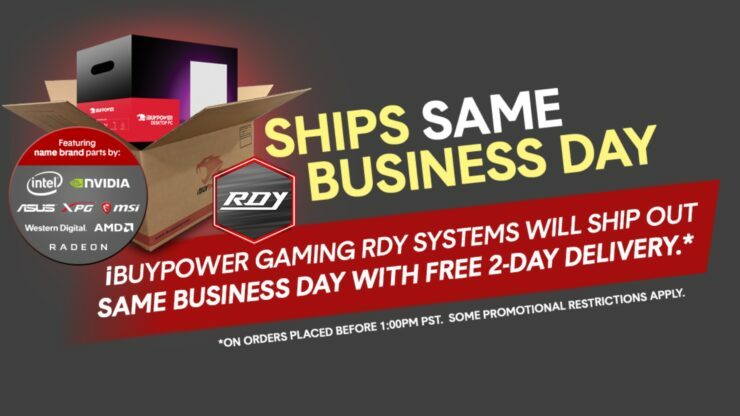 The idea of Gaming RDY from iBUYPOWER is just that, simple configurations and booted right out the door to you, typically within the same day if you place your order early enough. While I don’t expect this to be the case for these Black Friday deals they’re offering we wanted to make sure we shared these with everyone. AMD Ryzen 3 1200, MSI A320M PRO Motherboard, ASUS GTX 1050 Ti 4GB Video Card, 8GB (8GBx1) DDR4-2666 Memory, 1TB Western Digital Hard Drive, Windows 10. Intel i5-8400, ASUS TUF B360M-Plus Motherboard with WiFi, MSI GTX 1060 3GB Video Card, 8GB (8GBx1) DDR4-2666 Memory, 1TB Western Digital Hard Drive, RGB Liquid Cooling, Windows 10. 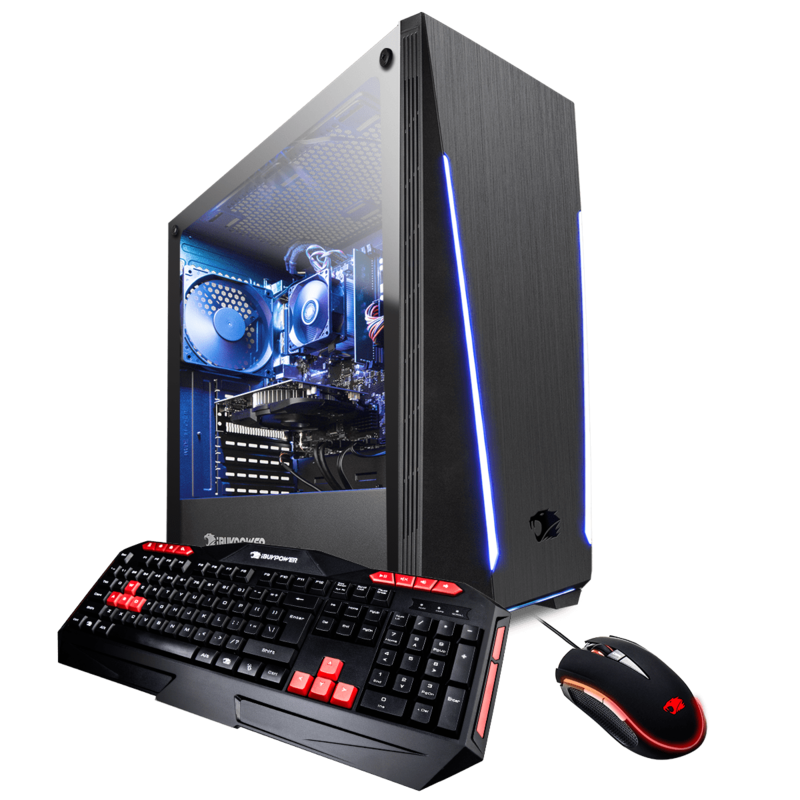 Intel i7 8700K, GIGABYTE Z370 SLI Motherboard, MSI GTX 1080 Ti 11GB Video Card, XPG Z1 16GB (8GBx2) DDR4-3000 Memory, 500GB Western Digital SSD, Liquid Cooler, Windows 10, Included Game: Call of Duty. 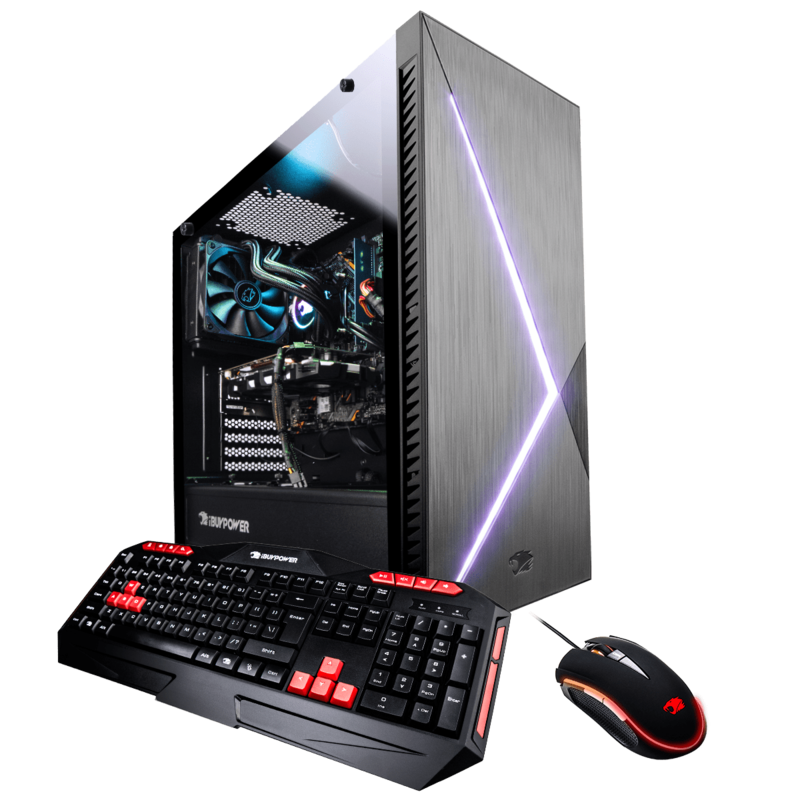 The stunner of a build Gaming RDY SBIBG202 with the wicked snowblind LCD side panel lists for $2099 but will be $1699 during the Black Friday Sale. 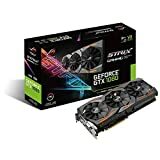 Intel i7-8700K, MSI Z390 A PRO Motherboard with WiFi, GIGABYTE RTX 2080 8GB Video Card, XPG Z1 16GB (8GBx2) DDR4-3000 Memory, 240GB Western Digital Green SSD + 2TB Hard Drive, RGB Liquid Cooling, Windows 10, Included Game: Call of Duty, Battlefield V.
The Gaming RDY TRIIBG212 lists for $2099 but will be available for $1499 during the Black Friday Sale, making it cheaper than the 1080ti variant. I guess you’ll have to decide do you want a ray traced case or game, sorry I couldn’t resist. 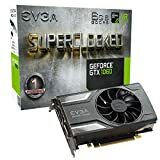 They do have other deals going live at that same time period but I wanted to highlight some of the big ones. Others do include a variety of configurations but these represent the starting point and the high end of the spectrum. Most all the deals fall in between what we’ve shown so far. Happy hunting!